A clean vehicle demonstrates to customers and other road users your values as a professional haulage company. That is why we have invested in our own on-site truck wash, which is also available to other users. Our state-of-the-art truck wash can accommodate all types of LGV vehicles and vehicle mounted fork-lifts. We pride ourselves on the super value we provide and quality of our service. Our fleet maintenance and garage services are available to other fleet users. With the capacity to service more than our fleet, our garage and maintenance services are available to others within the logistics & transportation industry. Our flexible payment options mean you can pay for your truck wash usage by cash or account if you are a member of the Snap parking network. 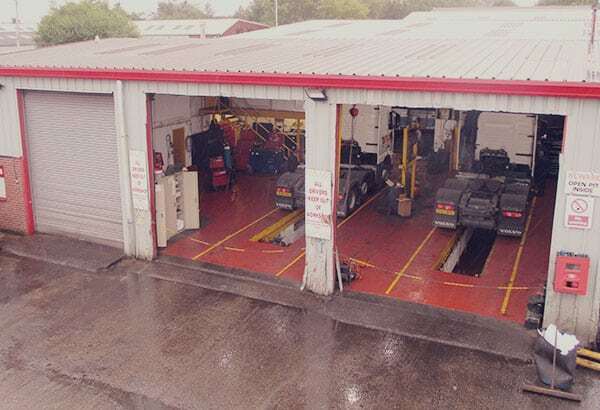 Using only the very highest quality detergents and equipment in our truck wash gives you peace of mind and assures you we are taking just as good care of your assets as you would yourself. You don’t have to book ahead but if you would like to enquire about the price or block booking please get in touch with our customer service team who will be happy to help you. We are a member of SNAP network for booking overnight parking and truck wash requirements. If you would like to now more about our state-of-the-art truck wash, pricing etc. please use the form below or call us now.